Make your trip more happening and memorable with luxurious hotels that fit in well your budget with super saver deals on hotel bookings only with Makemytrip.com. You can choose your favourite hotels available with upto 70% discount with an additional 20% cashback offer for SBI credit card holders. That means you can save upto 90% on your hotel bookings if you are an SBI credit card user. So don't miss this golden chance. Plan your trip and make your hotel bookings now to avail this bumper discount offer. Choose your favourite hotel as per your schedule. Use SBI credit card to get an extra 20% cashback. Offer is valid till 31st Jan'2016. Valid only on domestic hotel bookings available on Makemytrip web portal or iOS App. Maximum discount offered upto Rs.2100. 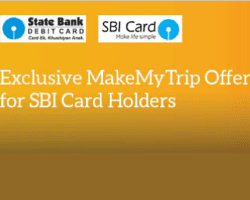 For SBI Credit card holders maximum cashback upto Rs.900 is offered. SBI credit card can be used twice only in order to avail 20% cashback. Cashback amount will be credited to your account before 21st Feb'2016. Hotel checkout should be made before 30th April 2016. 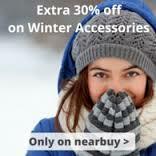 This Winter, get a cool collection of Jackets, Sweaters, Warmers, Caps, Scarfs and many more stuff for upto 30% discount only at Nearbuy.com. You can also enjoy an additional 10% cashback by simply paying through Paytm wallet. Go more stylish and trendy with the latest winter clothing collection. Shop now and avail this amazing discount offer as the offer is valid for limited period only. 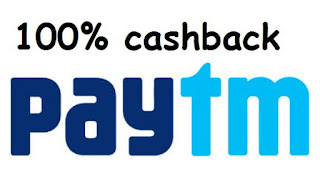 You can use Paytm wallet to get an extra 10% cashback. Offer will expire in next 3 days. Maximum discount valid upto Rs.400 only. 10% cashback is valid only using Paytm wallet. Make your Winters more comfortable and Cozy with Nearbuy !!! Planning for a Holiday?? Here is an exclusive offer where you can save Rs.100 on your bus tickets booked with Redbus.in. Simply logon to Redbus and select your destination and make bookings as per your schedule and get Rs.100 off on your billing amount. You can also avail an extra Rs.50 off on using PayUmoney wallet. 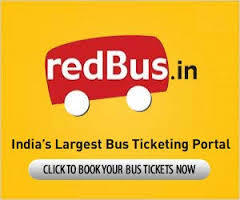 Get an instant and reliable bus service with Redbus Online Bus Booking Portal. So block your seats and and avail this pocket saving offer. Visit here to go to the deal page. Select your bus options and make your bookings by filling your necessary details. Enter code RBJAN20 to get 20% off maximum upto Rs.50. Use Payumoney to get an extra Rs.75 off. Offer valid till 18th Jan 2016. Make your bookings now and enjoy your trip with more comfort and savings only with Redbus. 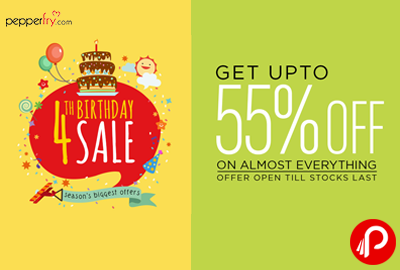 On its 4th Birthday Celebration, Pepperfry has comeup with an amazing discount offer where you can get upto 55% discount. Make a purchase of Rs.500 and above and get flat Rs.200 off. Pepperfry is one of the leading online store that provides all kind of furniture, Home Decors, Furnishing, Kitchen & Dining, Lamps & Lightings and many more items with latest variety that makes your place more beautiful and live. So now you can get all your necessary Housing Products at your doorstep by simply choosing from Pepperfry. Avail this birthday bash offer now and make your place more impressive and exotic. Select your products and add to cart with minimum value of Rs.500. You will get Rs,200 off on your billing amount. Offer will expire in next 2 days. This offer is valid for first 1000 Users only. Coupon is valid on minimum purchase of Rs.500 and above. Discount may vary on different items. Celebrate Pepperfry's 4th Birthday by purchasing more and more and avail this chance to be one of the 1000 lucky buyers!!! Gear up for another amazing deal at Paytm today where you can buy branded footwears at 100% cashback. The flash sale will go live at 12 pm today. Stay tuned at Paytm and make sure you don't miss the chance to be a deal grabber. You can use this cashback amount in your Paytm wallet to avail other services at Paytm. Go to the footwear section. Register or Login if you already have a Paytm account. Use the promo code from the product page and apply. Be watchful and on your tiptoe for this ultimate Flash Sale at 12 pm today only at Paytm. Make your kids happy with Paytm joyful deal on Stationery Products. 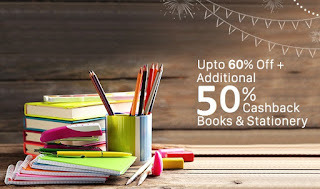 Make a purchase of essential stationery items and get a discount of upto 60% on most of the products. In addition to this, you can also avail a cashback of 50% by simply paying through your Paytm wallet. Capture this money saving deal and get ample stationery products to fulfill your child's basic necessity of Stationery products in just a single click. Enjoy this double offer at Paytm. Shop for Rs 100 and above and get 50 cashback. 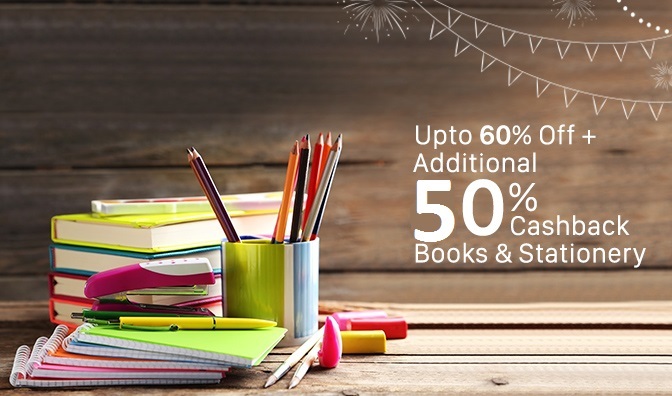 Avail upto 60% discount with additional 50% cashback on stationery products. Shop your Stationery Products and avail this amazing offer now only at Paytm as the offer expires soon.